Registration for fall activities is now open and participants can register online on the Parks and Recreation website. 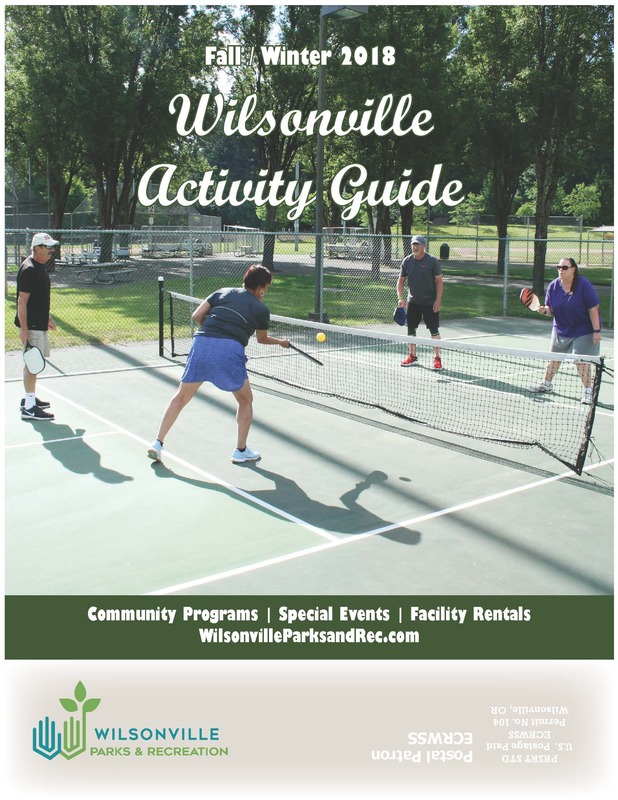 Wilsonville Parks and Recreation offers a variety of programs and services for citizens of all ages with recreation offerings ranging from art and fitness to lifelong learning. All programs can be viewed and registered for online at WilsonvilleParksandRec.com. Talk about fun! Whether you’ve tapped before or you’re a beginner with two left feet, this class will have you shuffling off to Buffalo in no time. Tap dancing is great exercise and the fun and friendly atmosphere of this class will keep you coming back for more. 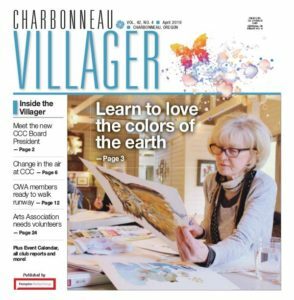 The class will run on Wednesdays, 9/12 – 10/31 from 1:30 – 2:30 pm at the Wilsonville Community Center. Cost for the 8 week session is $56 and pre-registration is strongly encouraged. Join Carolyn Rowe, downsizing expert and owner of The Move Makers at the Wilsonville Community Center on Wednesday, September 26th from 1-2 p.m. Carolyn will share tips and strategies to take the stress out of downsizing and moving. Learn how to save money by downsizing, how to get started on a downsizing project, and where to go for help. There is no charge but please call 503-570-1526 to pre-register. The Alzheimer’s Association is pleased to present an ongoing series of free educational classes at the Wilsonville Parks & Recreation Administrative Offices, 29600 SW Park Place. Sessions run from 10 – 11:30 am. Space is limited. Please call the Alzheimer’s Association at 1-800-272-3900 to register or for additional details. This month’s lecture, “Understanding and Responding to Dementia Related Behavior”will take place on Thursday, 9/13.Attendees will learn how to decode behavioral messages, identify common behavior triggers, and learn strategies to help intervene with some of the most common behavioral challenges of Alzheimer’s disease. Come out of the cold, wet weather and enjoy a warm place to get some exercise. In addition to having a walking course set up, there will be an area for stretching and a few strength building exercises. This program will take place on Mondays and Fridays, 9/14 – 1/7 from 1:30 pm – 2:30 pm at the Wilsonville Community Center. There is no charge, just drop in! Come learn the basics of hearing loss in this 1 hour seminar on Wednesday, October 3 at 11 am. Participants will learn about types of hearing loss, the effects of hearing loss and how to overcome it, as well as communication strategies and options. Seminar will take place at the Wilsonville Community Center and while there is no charge, those wishing to attend are asked to call 503-570-1526 to pre-register. Have you ever felt you needed motivation, encouragement, and quality education about losing weight? The goal of this group is to build a community around helping people navigate their path towards becoming healthier by losing weight and increasing physical activity in their lives. If you have tried to lose weight, you know the challenge is staying on track. Many weight loss programs can work, but what’s crucial is commitment, support, and accountability. Group members will be able to rely on each other to help with inspiration and the belief they can sustain motivation and be successful. For more information, contact Brad at 503-570-1522 or email at moore@ci.wilsonville.or.us. Brad Moore is ACSM CPT, NBC-HWC certified, a Nationally Board Certified Health and Wellness Coach and will facilitate this group. The group will meet on Fridays, starting 9/14, from 12:30 pm – 1:30 pm at the Wilsonville Community Center. There is no charge.